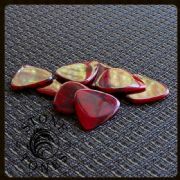 We recommend Stone Tones for Electric Guitar & Archtop Jazz Guitar. 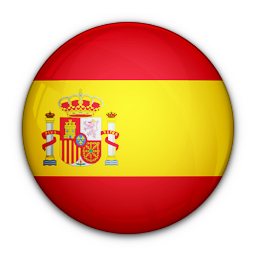 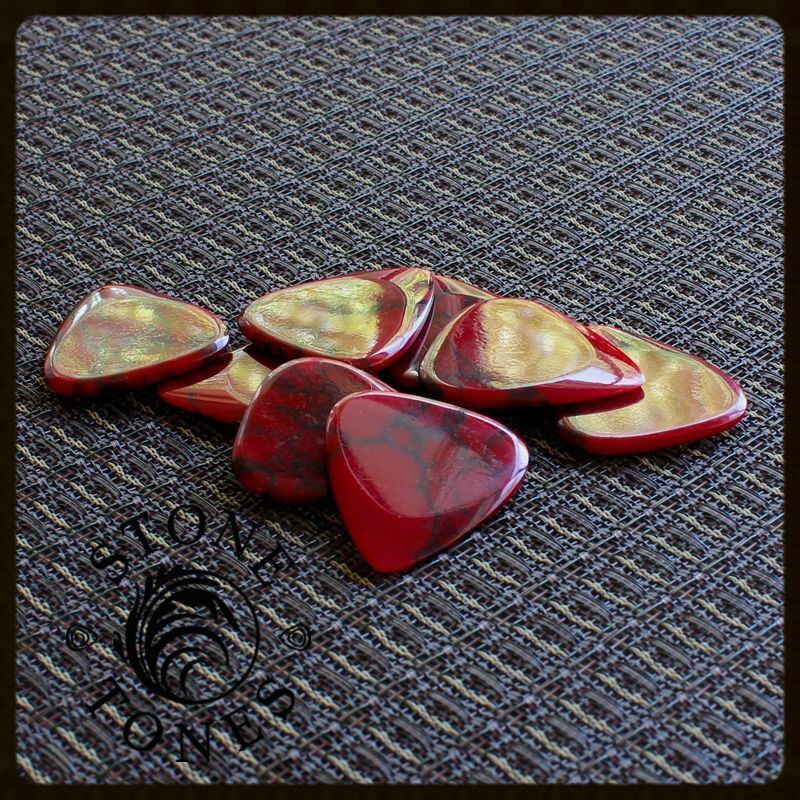 Stone Tones are manufactured from reconstituted Stone mixed with resin. The resin adds some softness which translates as warmth, however the picks do polish very smooth, which in turn gives a very clean tone. 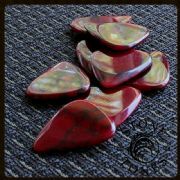 Stone Tones are based upon the Classic 351 shape. 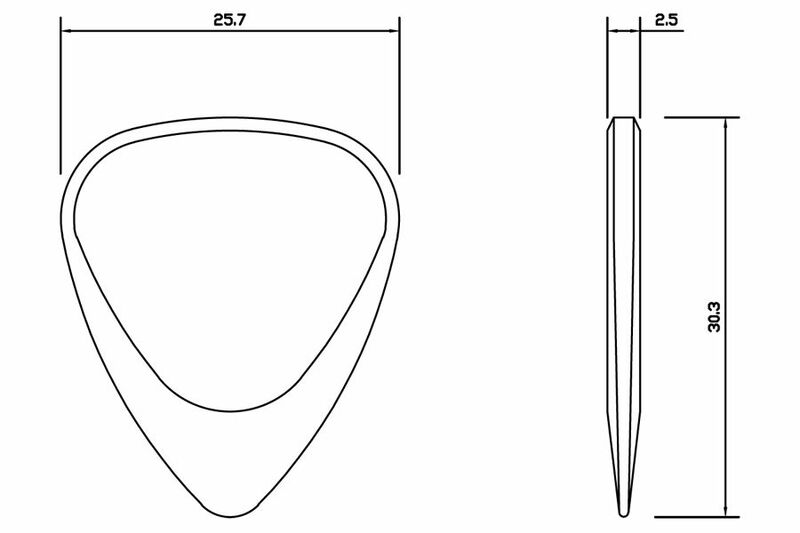 They are typically 2.5mm thick chamfering down to a playing tip at 0.7mm thick. 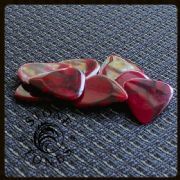 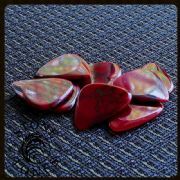 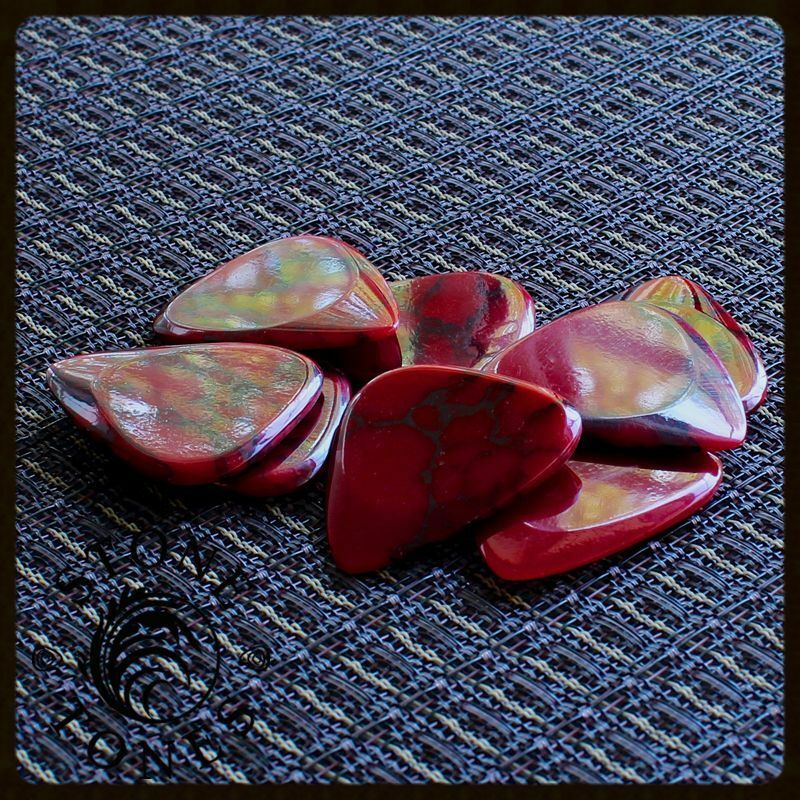 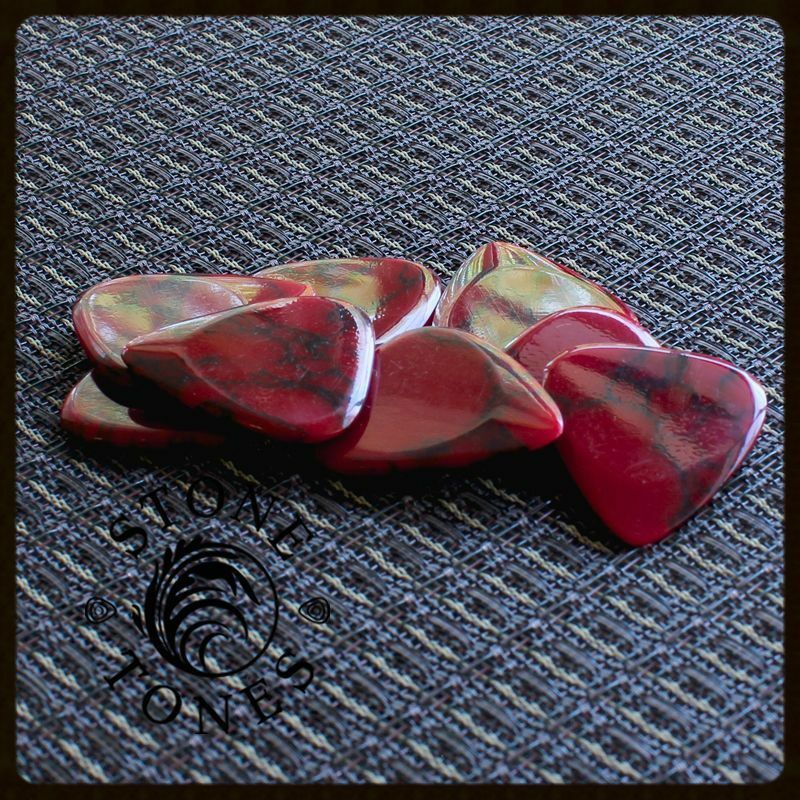 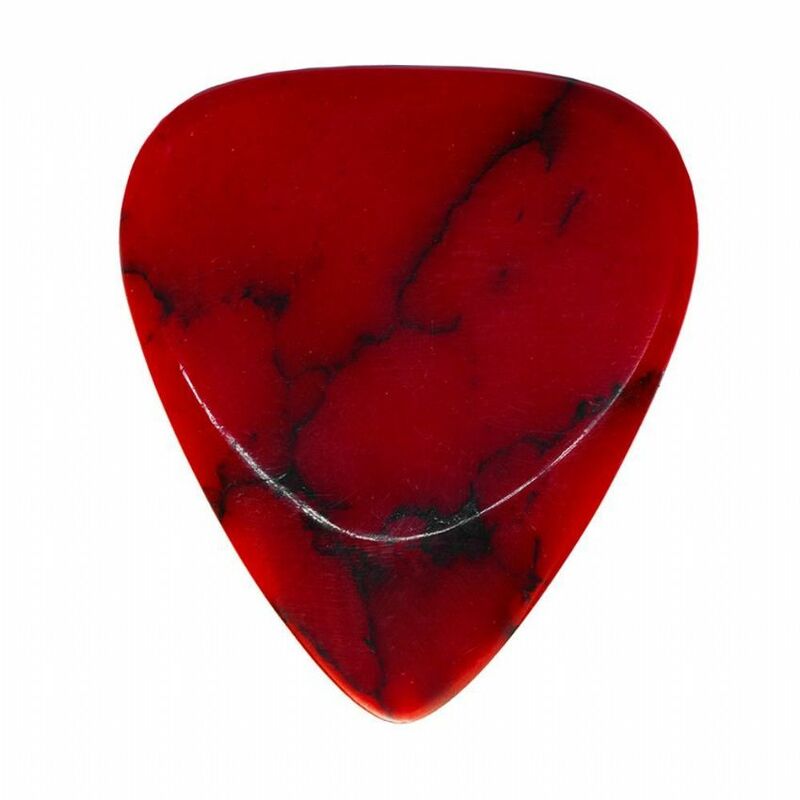 This pack contains 1 Bloody Basin Jasper Stone Tones Guitar Pick.